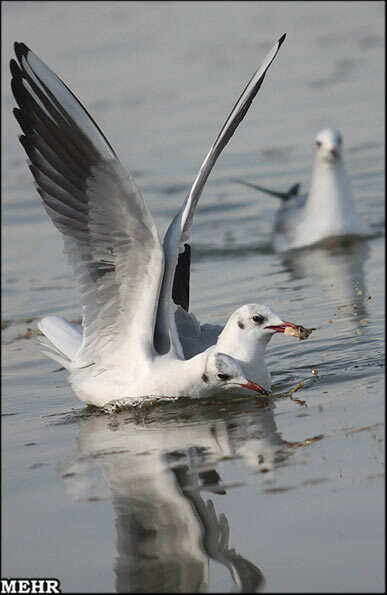 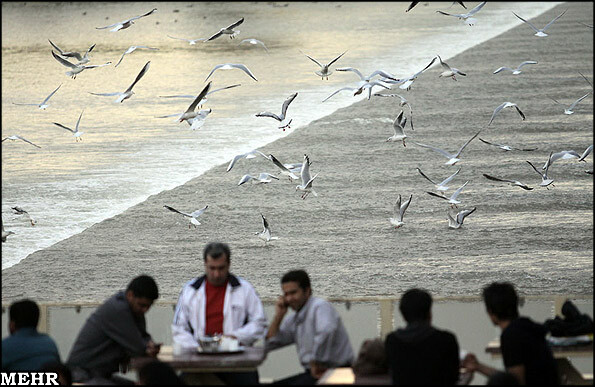 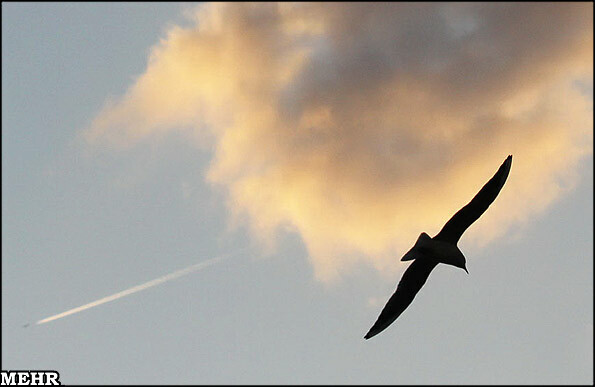 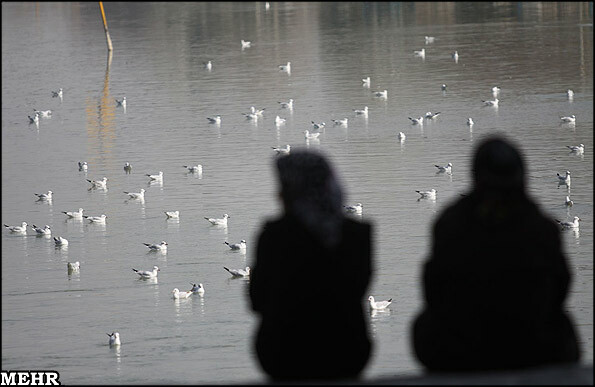 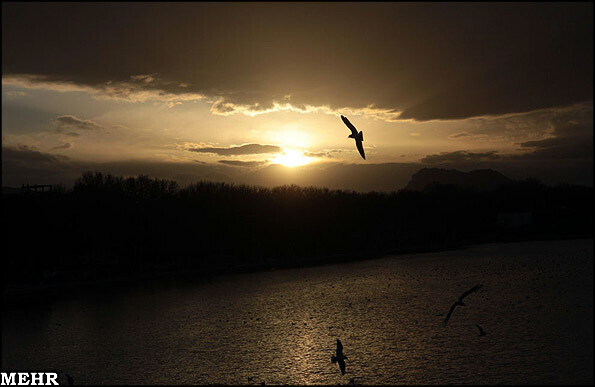 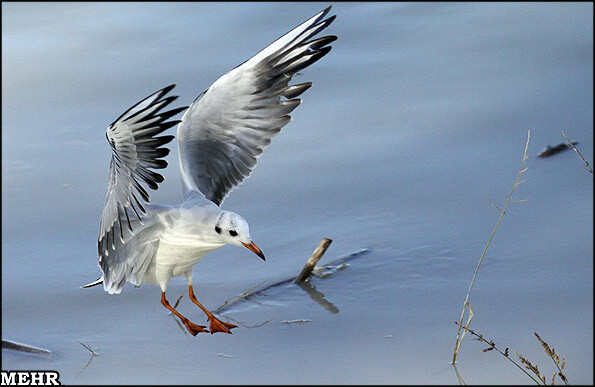 Migratory birds return to Zayandeh-Rud River which passes through the beautiful city of Isfahan, a city considered Iran's cultural center. 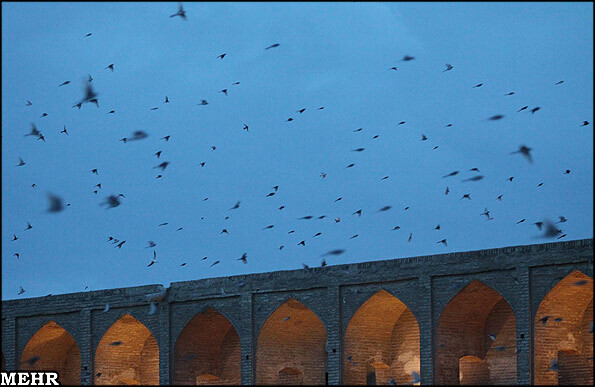 Isfahan, located about 340 km south of Tehran, is the capital of Isfahan Province and Iran's third largest city (after Tehran and Mashhad). 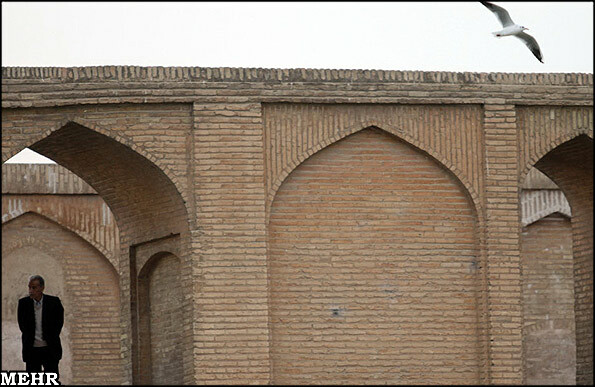 Isfahan City had a population of 1,583,609 and the Isfahan metropolitan area had a population of 3,430,353 in the 2006 Census, the second most populous metropolitan area in Iran after Tehran. 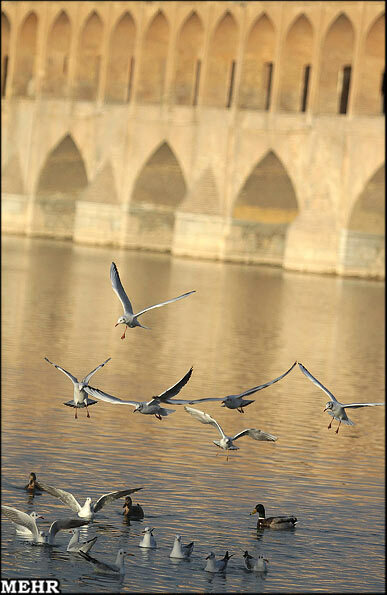 Zayandeh Rud (life giver river) is the largest river on the central plateau of Iran, Isfahan Province. 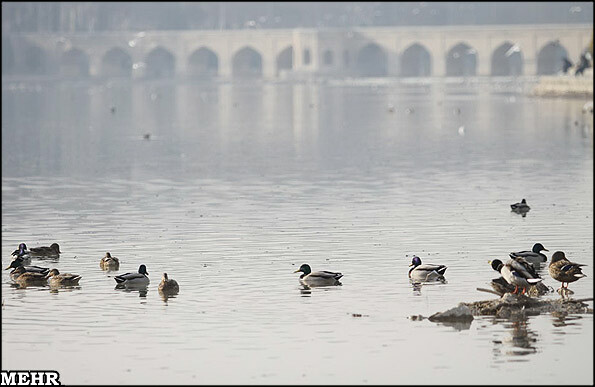 The Zayandeh starts in the Zagros Mountains and flows 400 kilometres (200 mi) eastward before ending in the Gavkhouni swamp, a seasonal salt lake, southeast of Isfahan city. 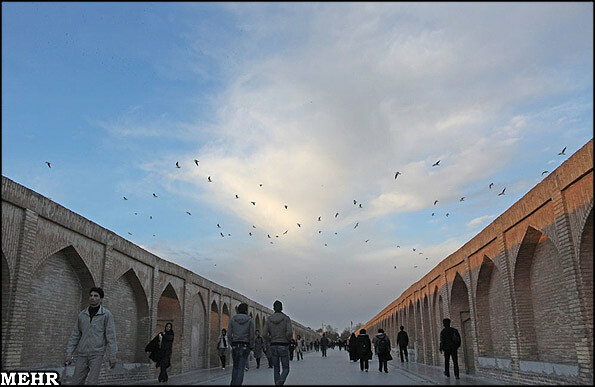 The Zayandeh Rud is spanned by many historical Safavid era bridges, and flows through many parks. 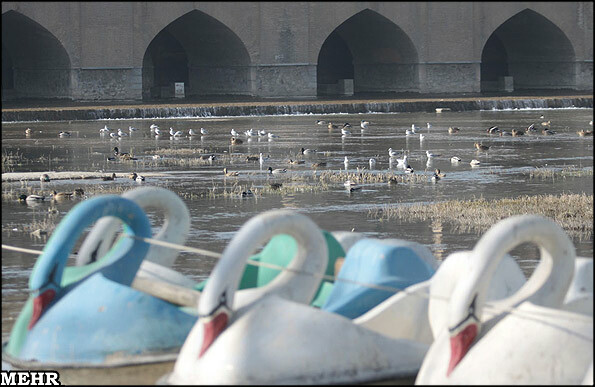 Zayandeh Rud normally has significant flow all year long, unlike many of Iran's rivers which are seasonal. 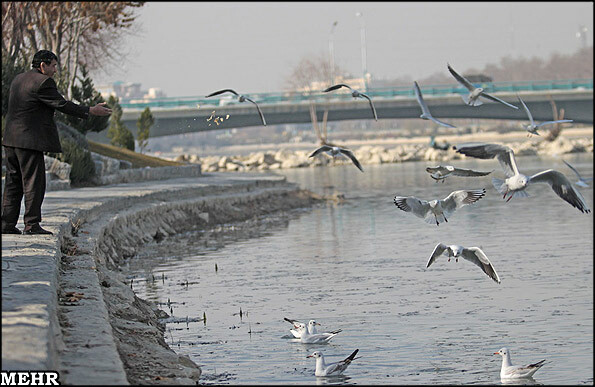 But this year the severe draught caused the river to completely dry up (see report). 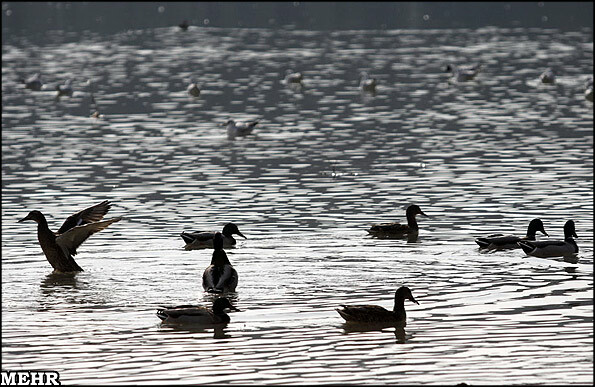 The water started flowing into the river recently bringing the life back to it!